The Cam Snappers of Newburyport's 1930 Ford Model A roadster was owned, built and raced by the Cam Snappers of newburyport car club of Newburyport, Massachusetts. The build was completed in 1954. In May of 2014 the car was advertised for sale in Lebanon. Joe Brienza's 1934 Ford Convertible of West Islip, New York was completed in 1958. It was supposedly sold to New Jersey in the 1960s or 1970s. 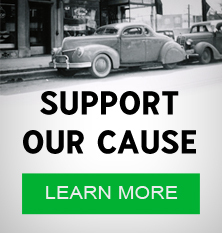 Chris Rusbach's 1941 Ford Coupe of Hackensack, New Jersey. It was Chris' father Harry Rusbach Jr who originally bought the car in 1988 and restyled it. Harry sold the custom in 1999. In 2007 Chris bought it back and got it back on the road again. After a 10 year long rebuild, the car finally received a glossy paint job in June of 2016. Named "Somethin' Else," after the Eddie Cochran song, the entire car, including body, frame and driveline had then been redone and improved. Harry Rusbach Jr's 1941 Ford coupe of Ridgefield Park, New Jersey. Harry bought the car in 1988. In 1990 he and three friends spent a weekend chopping the top on the car. John Sak's Third 1941 Ford Convertible of Syracuse, New York. Named "Barbie" after his wife, the build was started in 1957 and completed in 1960. "Barbie" was John's third 1941 Ford custom.Kenneth Groth of Branchville, New Jersey bought the old custom in 1999. Sam Barris' 1949 Mercury was sold to New Jersey in 1957. Andy Belusko's 1954 Ford of Whippany, New Jersey was restyled by Richard "Korky" Korkes of Korky's Kustom Shop in the mid 1950s. Richard Korkes' 1954 Ford Convertible of Whippany, New Jersey. The car, known as The Parisienne, was restyled by Korky's Kustom Shop. George Pillion's 1955 Chevrolet Convertible of Whippany, New Jersey as it appeared in 1960. George's Chevrolet, known as The Sportsman, was restyled by Korky's Kustom Shop. Irvin Kirschner's 1955 Chevrolet of Westwood, New Jersey. Known as the Princess and the Pirate, the car was restyled several times by Tony Bruskivage of Hawthorne, New Jersey. Errol Huttle's 1957 Chevrolet Convertible, of Elizabeth, New Jersey. Bill Kelly's 1932 Ford 3-Window Coupe of Warminster, Pennsylvania. The first version of the coupe was built in 1948. Gerard Christensen of Scotch Plains, New Jersey bought the car in the 1990s. Vic Collins' 1955 Chevrolet truck of Rahway, New Jersey. Vic's truck is a clone of George Barris' 1955 Chevrolet truck, the Kopper Kart. Restyled by Customs by Flash and John Maurice, the build was started in 1999, and completed in 2008. Ron Maxwell's 1934 Ford 5-Window Coupe of Salt Lake City, Utah. The build was started in 1954, when Ron was 15 years old. The first iteration of the coupe was completed in 1955. Ron's coupe ran under flathead and later Cadillac power, competing in B/Altered at strips around Utah. 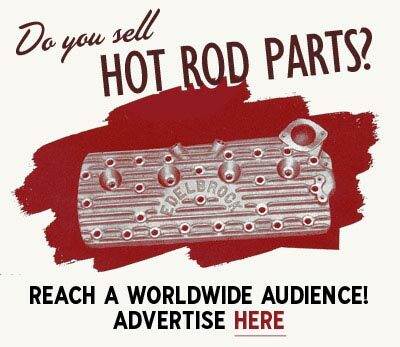 Rob Montalbine of River Vale, New Jersey bought the old hot rod in 2006. Joe Siclari's 1957 Ford Custom 300 of Union, New Jersey. Restyled by Joe and Moonlite Kustoms, the build was completed in 2010. Ralph Tyrone Scarfo's 1950 Oldsmobile 88 hardtop of North Bergen, New Jersey. Ralph's Olds was supposedly restyled in San Diego in the mid 1960s. Ralph Tyrone Scarfo of North Bergen, New Jersey bought the car in 2011. Gil Ayala's 1955 Ford Thunderbird of East Los Angeles, California. Known as the Wild Bird, the car was restyled by Gil and Al Ayala at Gil's Auto Body Works. The first version was completed in 1956. Sometime between 2011 and 2014 the old custom was sold to Ocean, New Jersey. Dennis McPhail's 1960 Ford Fairlane of Wellington, Kansas. Restyled by Hooligan Hot Rods and Jeff Myers the build was completed in 2010. Jerzy Saganowski of Park Ridge, New Jersey bought the car in 2011. Rob Ida of Millstone, New Jersey bought Lew Thompson's 1932 Ford roadster in August of 2017. Lew's roadster was originally hot rodded in the Los Angeles area in the 1940s. 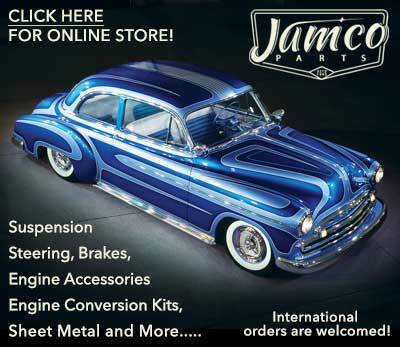 In 1948 Gene Winfield reworked the car at Winfield Custom Shop for current owner Joe Cardoza. Joe sold the car to Modesto Century Toppers member Lew Thompson. Circa 1960 Joe sold the roadster to fellow Modesto Century Toppers member Peter Hischier, who gave it a Candy Apple Red paint job. Circa 1963 Peter had Gene Winfield rework the car and give it a black paint job. This incarnation did also feature a fully chromed undercarriage. After buying the car, Rob and his crew at IDA Automotive spent some time bringing the car back to how it appeared when Winfield originally reworked it. Jack and Carolyn Kiely's 1950 Mercury Convertible of Rumson, New Jersey. Restyled by IDA Automotive, the build was completed in 2018. 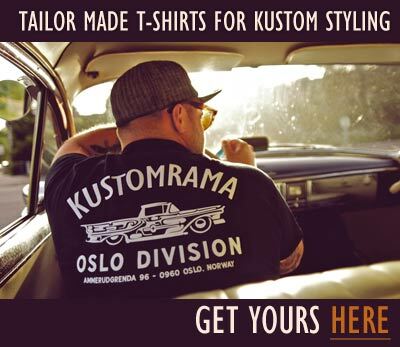 Subscribe to our newsletter and receive updates on New Jersey and other subjects featured on Kustomrama. If you have additional information, photos, feedback or corrections about New Jersey, please get in touch with Kustomrama at: mail@kustomrama.com. This page was last edited on 25 February 2019, at 05:53.